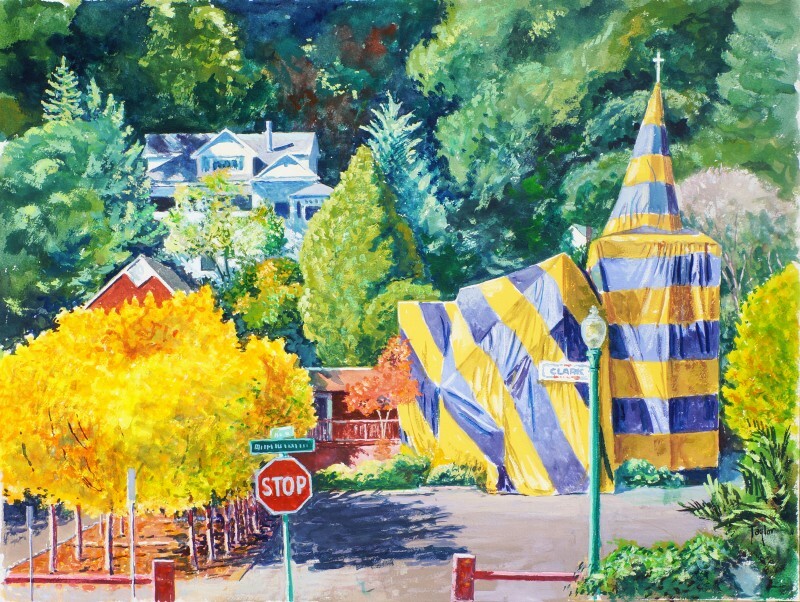 St. Philip’s Church Termite Wrap, (2002) 22×16”, watercolor on paper, by William F. Taylor. William F. Taylor paints for the love of painting. He paints the way a Zen practitioner meditates, the way a musician composes: as a daily creative practice. 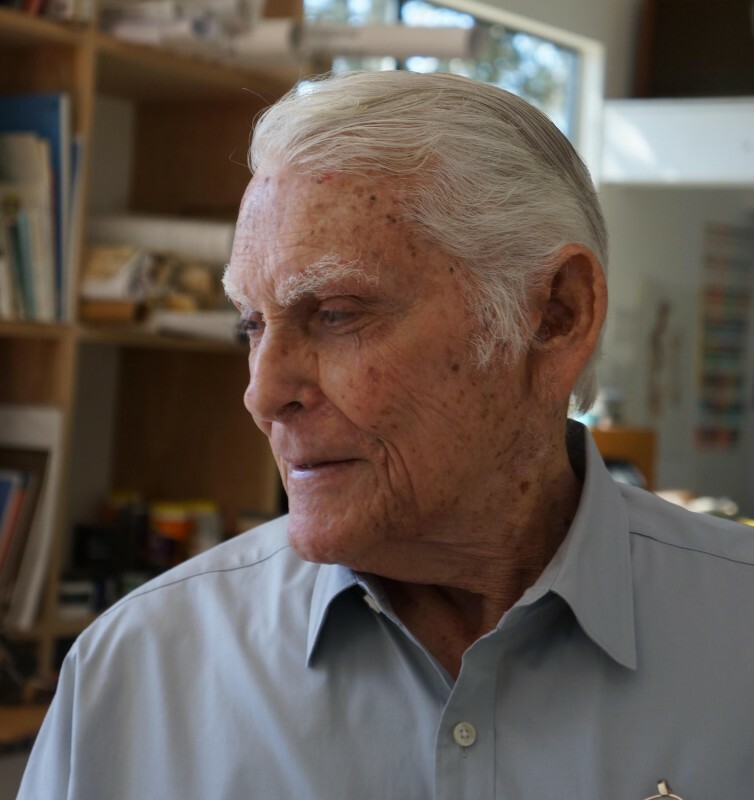 Now 89, the shy and nearly deaf Santa Rosa artist has painted almost every day of his adult life, yet never sought to make himself known. His art was virtually unseen until last fall, when the Sebastopol Center for the Arts, supported by RiskPress Foundation, gave him a solo exhibition. A major group of his paintings of Occidental and its environs is featured in a three-man show opening January 20 at the Occidental Center for the Arts. Bill Taylor’s subject matter is the urban landscape. He paints seated in his car in front of the subject he has chosen. (He likes the mobility and privacy.) A master draftsman who worked as a graphic artist for two decades in Los Angeles, he draws and paints precisely and at leisure (if he’s not asked to park elsewhere), working in watercolor, pen and ink, acrylics or oils. When he can’t finish on the spot, he will develop the painting further at home. Taylor may know Occidental more intimately than anyone alive. For decades he has studied its historic structures and verdant setting, its plays of light and color, its small shifts and transitions. Through the mindful act of painting, he reveals how deeply attached he is to the place. Iconic buildings such as St. Philip the Apostle Church, rendered from different angles at different times of the year (once, shrouded in a striped tent during termite extermination), pop up frequently, like old friends. When he was younger, Taylor learned taxidermy and prepared bird specimens of such high quality that the California Academy of Sciences accessioned them for their collections. His paintings similarly preserve what is beautiful and unique in the region he loves. 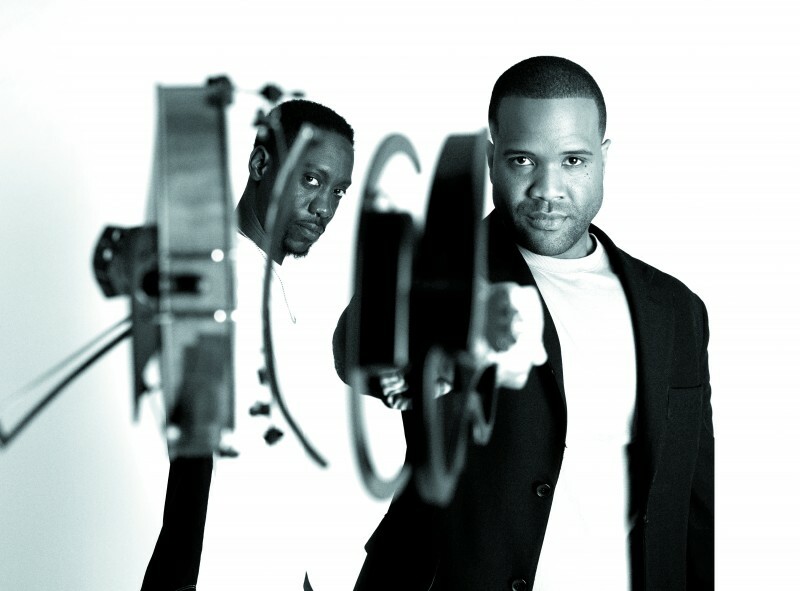 “Onsite: Landscapes by Charles Beck, Dave Gordon and Bill Taylor” is on view at Occidental Center for the Arts January 20 through March 13, with an opening reception January 21, 4–7 p.m.
Black Violin brings classical music to the hip-hop generation.